Starting in February this page will be filled with pictures of all the baskets that are available for raffle as well as rules, guidelines and even event ticket information. More baskets will appear the closer to the event we get so stay tuned! The event this year will be held on March 23, 2019 from 4pm-6pm. Mark your calendars! Save the date! 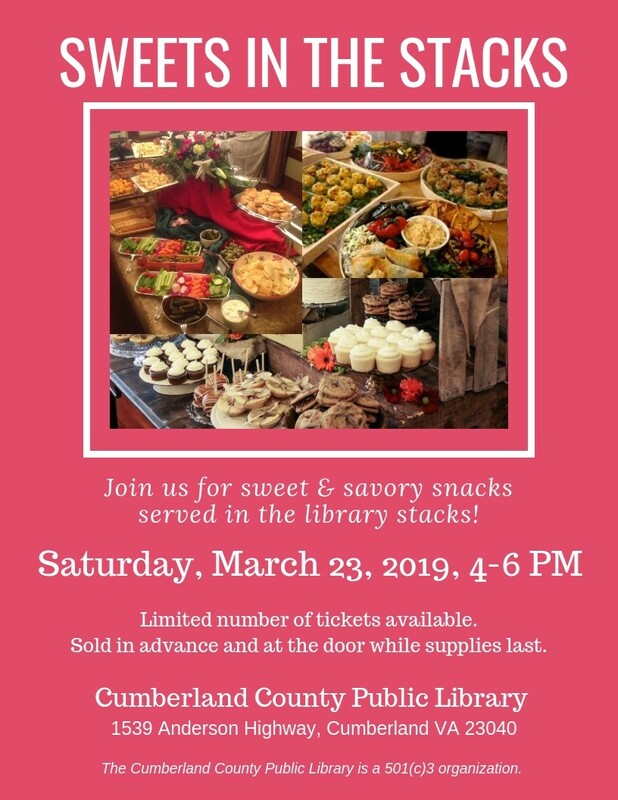 For additional information or if you have questions please email us cumberlandlibraryva@gmail.com or call 804-492-5807.